Blissful parenting, could it actually happen? Sharon Ballantine is a Parenting Coach and certified Law of Attraction Life Coach. She has raised three children and is the author of a new book "The Art of Blissful Parenting." 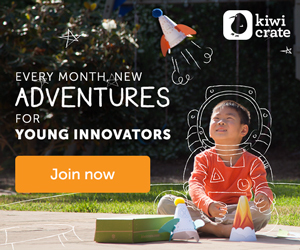 What if you had the ideal relationship with your children? This book is for every parent that wants to have a powerful bond with their kids. Parents have the opportunity for newfound freedom and joy when they teach their children about their Internal Guidance System. Tools and guidance are offered in this book for exacting the art of blissful parenting by practicing alignment. If you can't wait to see if you won, you can purchase the book HERE! 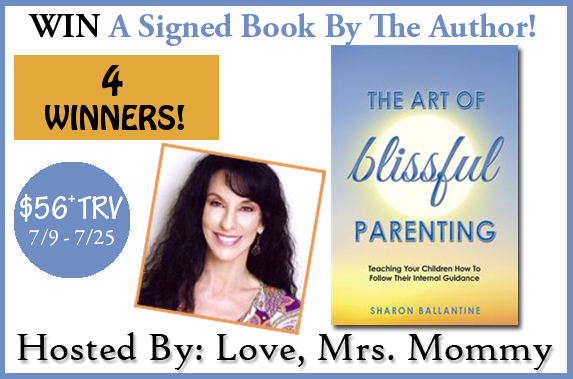 A signed paperback copy of the book The Art of Blissful Parenting! Giveaway Dates ~ 7/9 12:00 AM EST through 7/25 11:59 PM EST Good Luck! Disclosure: Love, Mrs. Mommy and all participating bloggers are not held responsible for sponsors who do not fulfill their prize obligations. Love, Mrs. Mommy received nominal compensation to host this giveaway. This giveaway is in no way endorsed or sponsored by Facebook or any other social media site. The winners will be randomly drawn by Giveaway Tools and will be notified by email. Each winner has 48 hours to reply before a new winner will be drawn. If you would like to participate in an event like this please contact LoveMrsMommy (at) gmail (dot) com.